This was again a long pending task on my layout that I managed to start last Saturday, and made a good progress in just two days. I don't have an airbrush, hence I used something rather unconventional - dry pastel which proved to be very effective, and in some essence more versatile than an airbrush. The method was very simple - take small amount of matte varnish and spread it all over the body of the rolling stock/loco. Then use a flat brush, rub it on the block of dry pastel of suitable color (I used earth, white, black and rust), then dab the powder on top of the wet surface. Then move the brush rapidly in vertically and down motion till you get a dusty, matte finish. Repeat this process across all portion of the rolling stock, including the trucks. The matte varnish and the natural property of pastel will give a very nice dusty finish. The powder also gets inside the cracks and crevices of the rolling stock and truck, just like the real thing and reveals the details of the model very nicely. And here are some before and after shots. It's surprising how much of extra detail that I can see now in my locos and rolling stock that I could never spot so easily before. I am confident now that weathering is mandatory for all smaller scale - smaller the scale, more important it is! This week an unexpected opportunity presented itself while I was on a client visit in Delhi. Somehow the day ended early, and while I was contemplating about options to spend a boring evening, I received a warm invitation from Ranjeev Dubey, one of the very few 'proper' model railroaders in the country, to spend the evening railroading. There was a scheduled meet later in the week where the small model railroad community of Delhi would meet at his place, and I was a little disappointed that I would miss that by just 2 days. So, when I received this invitation I was overjoyed. And what a evening it was! 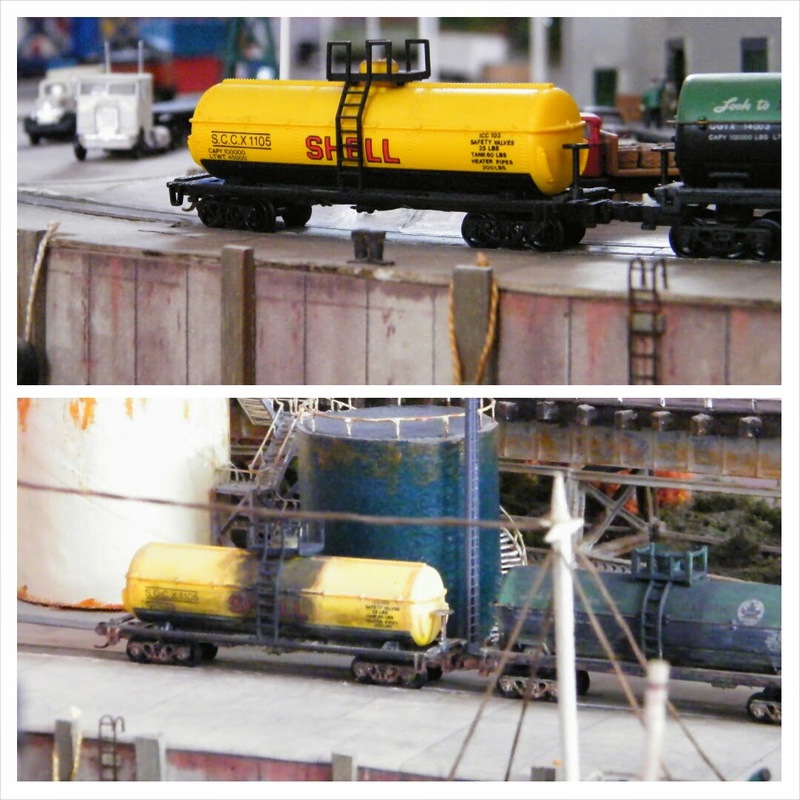 Ranjeev has been making model railroad since late 80s, and just like me he also started with N scale. Over the next nearly 30 years, he has modeled in all popular scales - N, HO and O. 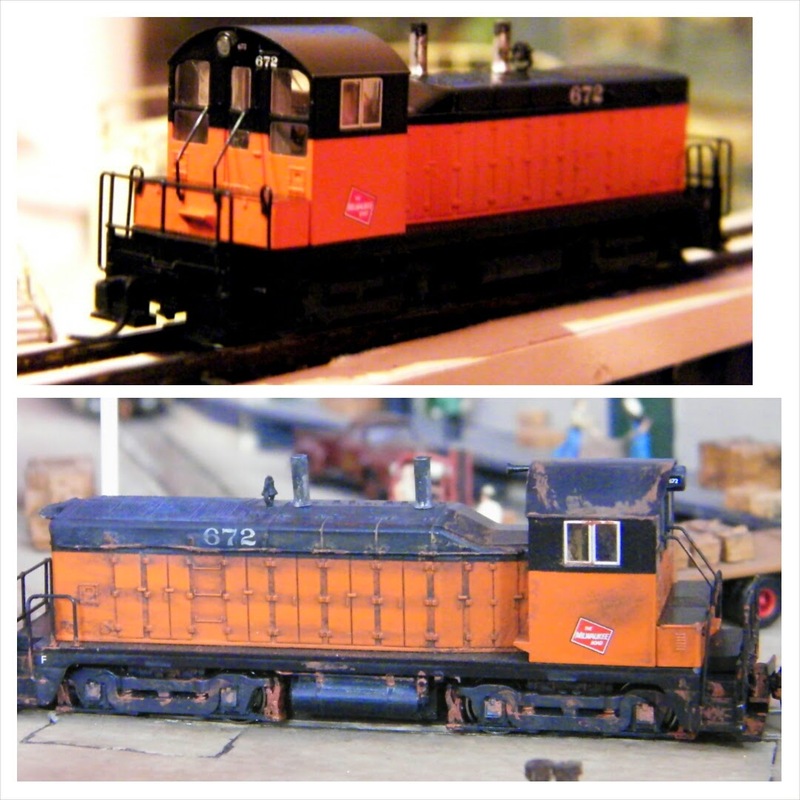 He is the only model railroader in the country who models in narrow gauge - HOe and On30, and possibly the only railroader in the world who is building a true Indian Railway perfected as per the prototype. Kalka Shimla Railway is a one of a kind, authentic replica of the prototype of the same name, spanning over two levels. Built in HOe and depicting the 1960's Shimla this layout has everything Indian about it - starting from the stations, the buildings, the scenery, and most importantly, the people. You can easily spot sari clad women, sardars with turban and typical Indian commoners in every nook and corner of this layout! Not to mentioned authentic Indian vehicles, animals, carts and buildings. There should be a special mention of the two prominent temples in the layout, one of which is a fantastic model of Tara Devi temple, and you can also spot the old ruins of temples crafted with extraordinary skills! A heavy scratchbuilder, Ranjeev has definitely made some remarkable and original scenery in this layout. And he achieved all this in just 3 years, starting the layout in 2011. Not to mention that this specific bit of statistics does shake my confidence a bit that I haven't been able to complete a less than 18 sq foot layout in nearly 4 years! 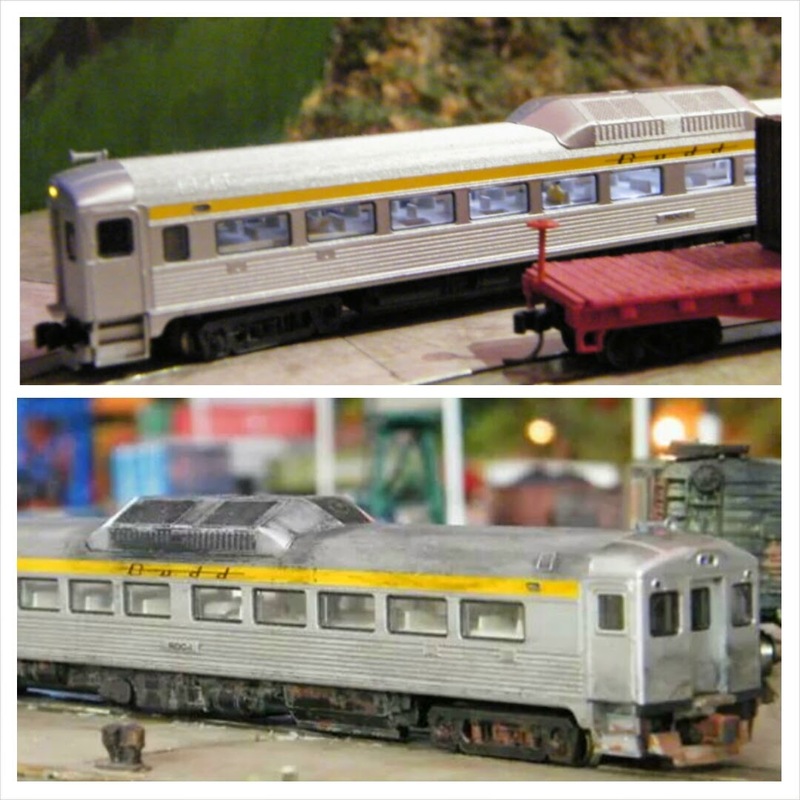 Known as RDX in our small railroading community (well you can pretty well imagine the character with that name! ), he is a true inspiration. And yes, I am very seriously considering moving to HOe for my next layout, and definitely would like to pick an Indian prototype. What comes to my mind first? Well, you should know - Darjeeling Himalayan Railway! I did not have preparation for this to carry a proper camera. So here is a short video of whatever I could capture with my shoddy phone cam. I had a bonus pick of watching trains run on his N scale layout as well! Thank you for everything, RDX!